After an amazing second year of races, we're thrilled to announce the following line-up for 2019! 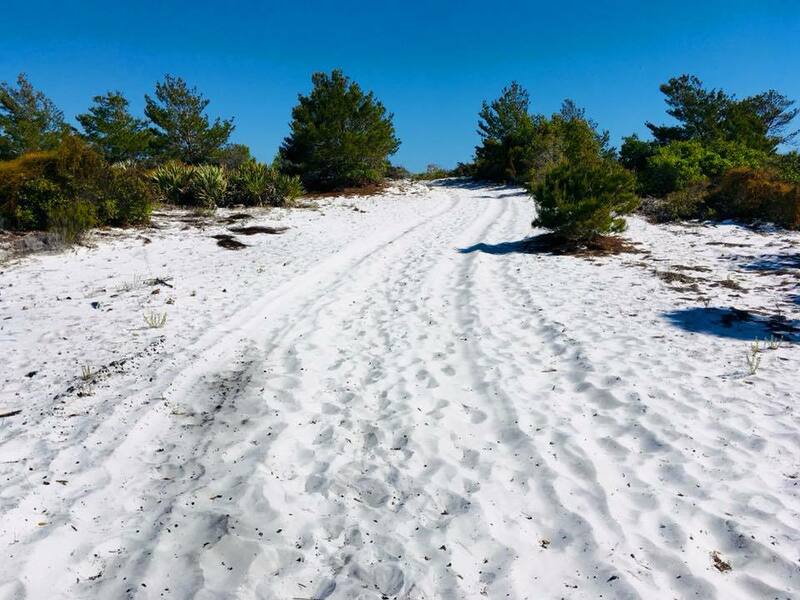 Saturday, Dec 28th, 2019: Sand Spur Ultra- Registration opens Earth Day, Apr 22nd, 2019! Jen and Mike are both ultra runners with a love of trails. They work hard to put together races that draw registrations from around the globe! In keeping with the "give back" give of ultra-running, any and all proceeds of our events will go to Palm Beach County Environmental Resource Management (PBCERM), who oversees the conservation of our county's natural areas! Learn more about PBCERM below! It's an absolutely beautiful run and, in our opinion, one of the toughest. Sign me up for the Trident!! From Ohio, Mike "EZ Brown" is the mastermind of the Sand Spur Ultra. Since running his first 5k in 2014, he's quickly made the transition into Ultra Distance and completed multiple races ranging from 5k-50miles, recently winning a 5k trail run and winning his AG in a 50 miler! He's known for his speed and "not so ez" pace! His proudest running moment - creating the Sand Spur! Aside from running, he's a proud father and super-talented photographer! "Second Place is First Loser!" Hailing from the middle of nowhere Ohio, Jen has been running since middle school cross-country and completed her first ultra-marathon in 2014. Since then, things have spiraled out of control with multiple 50k, 50 miler, 100k, and three 100 mile finishes. She recently qualified for Boston and is the recipient of multiple embarrasing finish line photos - if you didn't puke at the finish, you didn't run hard enough! She loves Pepsi-Max, her 2 Aussies and husband, M&Ms, and hip-hop. Help support our Natural Areas!! We have partnered with Palm Beach Country Environmental Resource Management (PBCERM), who works to protect, manage and enhance over 31,000 acres of Palm Beach County's Natural Areas helping to maintain the county's native biological communities and encouraging the highest possible environmental quality. As our goal is to preserve our county's natural areas and the habitats of their native species, all proceeds of the TRIDENT and SAND SPUR races will be donated directly to PBCERM! Click on the "DONATE NOW" link to make a donation directly to PBCERM! Click on "Natural Areas" and "Donate Now" and specify "JUPITER RIDGE" in the comments box of your donation! Let's keep these areas maintained for years to come!